Have window tinting Nottingham transform your car today! At Exec Spec window tinting Nottingham, Derby we like to believe that we are the best at what we do, we have over 15 years’ experience allowing us to provide our customers with a level of excellence that our competitors can’t compete with. Our window film installers have years of knowledge working on all different vehicle make and models. Window tinting Nottingham Derby authorised & approved for your peace of mind. Comfort – Window film reduces glare & harmful UV rays. It also helps reduces the amount of heat build-up in the vehicle, resulting in better passenger comfort especially for young children and pets. Be confident your vehicle is in safe hands. We are a fully insured and reputable company, established in 2003. 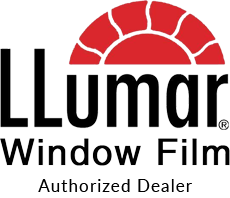 All our Window Film installations are carried out in our clean purpose-built workshop. Car audio & security Company. When it comes to vehicle installations you can guarantee your vehicle is in safe hands.With our team of experts we can look after your car,van,motorhome all through to a complete fleet.